Austin, Texas is known for SXSW, the hottest, trendiest ideas festival in the US. But the city also knows a thing or two about food. The best catering in Austin strives for innovation, while striking the balance between traditional foods locals crave, like brisket, Tex Mex, and chicken pesto. Austin Way reports that comfort foods, in all shapes and colors, are driving what Austin is eating right now. 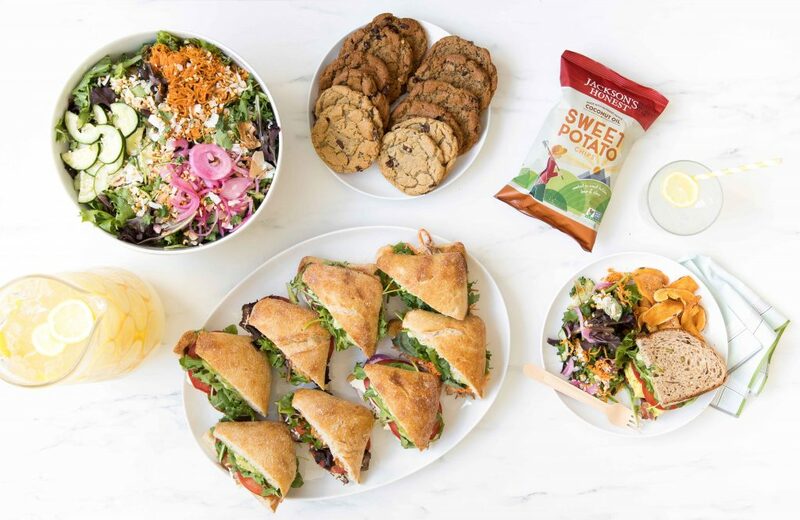 The best catering in Austin moves with the beat of this musically-inclined town, serving up a range of flavors that includes comfort foods from across the globe. Taj Palace Indian Restaurant caters the richly seasoned foods of northern India. Their thick and sweet mango lassi, a precursor to the smoothie movement, is as classic as the naan. And it gives the tasty chicken tikka a run for its money. Try the paneer tikka, an Indian take on grilled cheese. The vegetable samosas stuffed with potatoes and peas can’t be missed. And shrimp kadai, a dish named for the deep, cast iron vessel in which it is cooked, is unforgettable. Do you have a hankering for cheese steak or other sandwiches? There’s a reason Texadelphia Sandwich and Sports’ signature dish is the cheesesteak sandwich. It’s served on a soft roll with double meat, griddled onions, and a mustard blend that brings it all together. Cheesesteaks and deli sandwiches are also available on service trays. 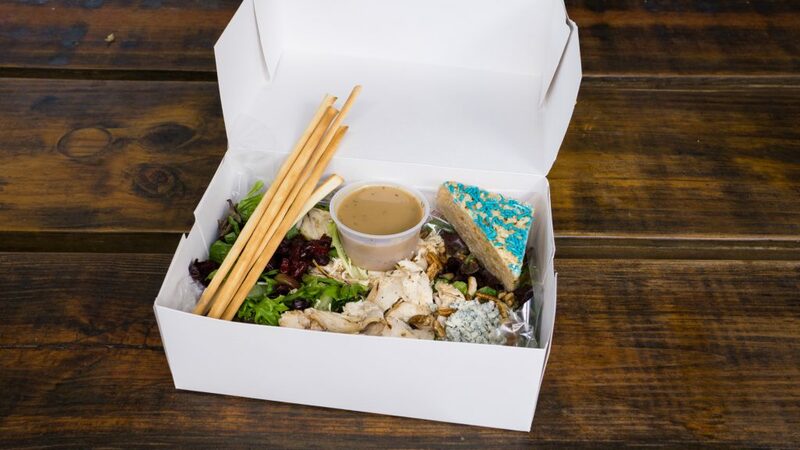 Boxed lunches include a cheese steak or deli sandwich, homemade tortilla chips, and a brownie. And a side of queso fries is an “only in Texas” touch that seals the deal. 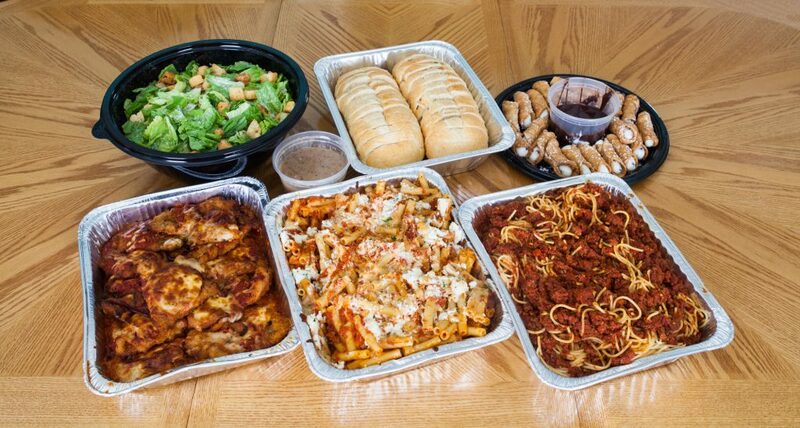 When comfort food means Italian-American favorites, Buca di Beppo is one of Austin’s best caterers. Pastas anchor their catering menu, ranging from creamy fettuccine alfredo to spicy shrimp fra diavolo. Baked pastas, like ziti and lasagna, are red-sauce favorites. For something meatier, the chicken parmesan and Caesar salad practically fly out the door. Their Celebration Packages are customized to feature salad and pasta. Add bread, dessert, and a protein to round out the party. The Wicked is Which Wich’s signature sandwich, and for good reason. Loaded with five meats and three cheeses, it is as hearty a sandwich as any out there. It mixes well with their other sandwiches, like the turcado, muffaletta, caprese (a.k.a. the veggie option), buffalo chicken, and turkey, bacon, ranch, on a tray for any lunch event. Or cater it in the box lunch with a bag of chips and a cookie. The caprese pasta salad, with diced tomatoes, mozzarella, and pesto, is a favorite among devotees. 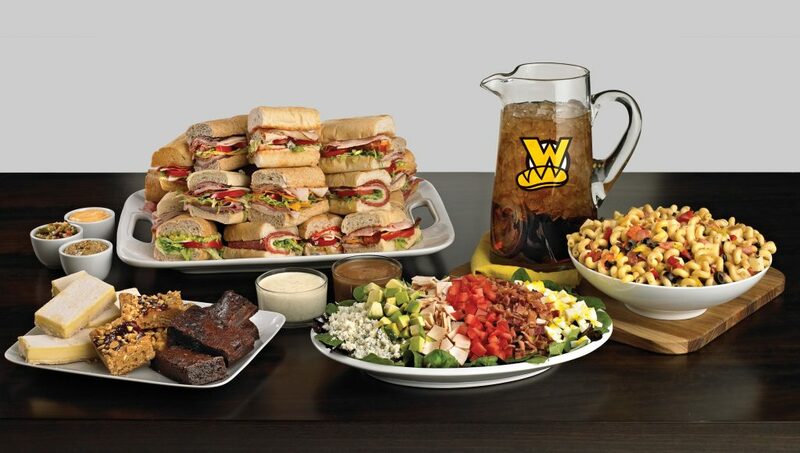 Naturally, ordering salads eliminates the need to sort out which ‘wich is which. Café Express is well known in Austin for catering decadent breakfasts. The French Quarter french toast is served with cream, powdered sugar, glazed pecans, and fresh fruit. It’s truly the NOLA breakfast of champions. But Café Express also makes a mean lunch. Their turkey club and tuna salad are favorites. The veggie, with pickled carrots, hummus, and fennel, is also a standout. For heartier entrees at lunch or dinner, the pasta capri with sautéed shrimp or fresh spinach strike a healthier pose. While the grilled chicken salad with fresh lettuces, crumbled bacon, and parmesan dressing balances fresh with indulgent. Dealing with dietary restrictions is the bread and butter at Modern Market. This Austin caterer makes most everything from scratch, in-house. That means there’s leeway to build sandwich platters with gluten-free bread — or with no bread at all — to satisfy any special requests. Toasted sandwiches include the chipotle steak with asiago and arugula and BBQ pork with brussels and jicama slaw. Or, go for the insanely fresh salads. Loaded with grilled chicken, adzuki beans, and a guajillo lime vinaigrette, the Merida practically sings Tex Mex in a Tejano tune. Meanwhile, the Superduperfood salad’s quinoa pilaf, hemp granola, and raspberry chia dressing is a food trend in the making all by itself. New York-style Italian catering is what you’ll find at Gregorio’s Food Trailer. Layers of cheeses and meats on the antipasto platter give way to olives and dark chocolate almonds. But the appetizer buffet, with caprese skewers, mini-meatballs in marinara sauce with hummus and artichoke dip, is just as irresistible. When you take a bite out of the garlic knot sandwich, thick with prosciutto and mozzarella, it won’t be long until you’re singing “New York, New York” — even in Texas. Star Kebab has a full menu of appetizers like falafel, baba ghanoush, and hummus. But it’s the house-made pickled vegetables served with the popular kebabs that earn raves from the regulars. 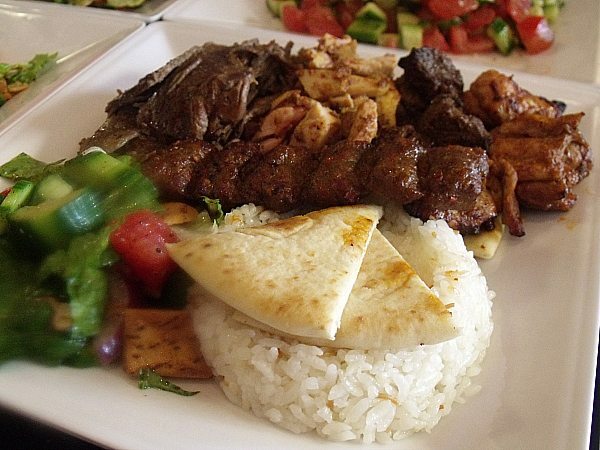 Beef shish (cut into cubes and grilled), beef or chicken doner (sliced layers of meat roasted on a vertical rotisserie), and grilled chicken kebabs all come with tomatoes, onions, and tahini, as well as the delightful pickles. A Greek salad and a side of rice pilaf completes the meal for some of the best catering in Austin. Newk’s Favorite Salad earned that moniker for a reason. Grilled chicken tops greens, and a heady mix of gorgonzola, grapes, artichoke hearts, pecans, and cranberries arrange themselves in ideal order to satisfy every part of the palate. The triple take platter with chicken salad, pasta salad, crackers, and fruit is a favorite standby. 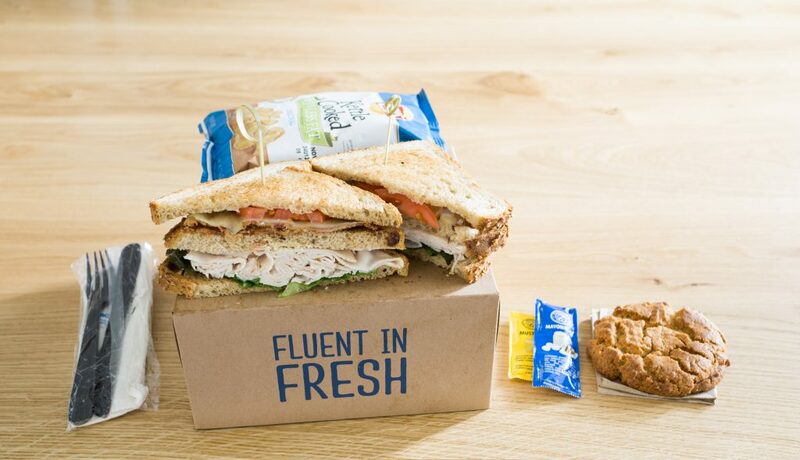 Deluxe sandwich platters — with pesto chicken, pimento cheese, and the Newk’s club — come with two sides. Potato salad and coleslaw are classics but Newk’s Tippah County caviar, a.k.a. black-eyed peas with green onions and bell peppers, is a decadent classic. Known for their food truck, Syriano Shawarma is widely hailed for their flavorful hummus and falafel. That and the savory beef and chicken shawarma are served with a creamy tahini dressing that’s simply elegant. But it is the fried pita strips and olive oil-pomegranate-lemon dressing on the fattoush salad that sets their catering in Austin apart. Make sure you ask for extra on the side. Is your interest in Austin caterers piqued? 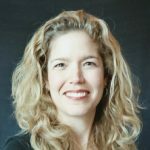 Christina Mueller has been writing about restaurants, chefs, and culinary trends for more than 10 years. She has published recipes and written a cookbook that is still in a stained manila folder close to the stove. She spends her free time sharing favorite restaurants around the world with anyone who asks.